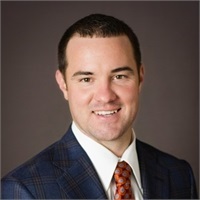 Matthew Barker- Matthew Barker has been with Cornerstone Financial Group for 8 years now. Matthew is a Series 7 & 66 licensed advisor at Cornerstone and enjoys bringing new solutions to clients financial needs on a daily basis. He is also a graduate from the University of Florida School of Business. Mr. Barker earned the AIF® Designation from the Center for Fiduciary Studies in 2014. The AIF Designation certifies he has specialized knowledge of fiduciary standards of care and their application to the investment management process. In 2014 Mr. Barker was recognized by his Broker Dealer J.W. Cole Financial with the Outstanding Achievement award in Wealth Management. Mr. Barker was also awarded in 2013, one of Gainesville's top Forty Under 40 professionals. Matthew is also very active within the community. He serves as a Board Member for the local Ronald McDonlad House Charities of North Central Florida. In addition to his board duties, he is an active member with the Gainesville Quarterback Club. In his spare time he is an avid outdoorsman and enjoys spending time with his wife Allison and son Jace. He also enjoys the occasional round of golf with good company.